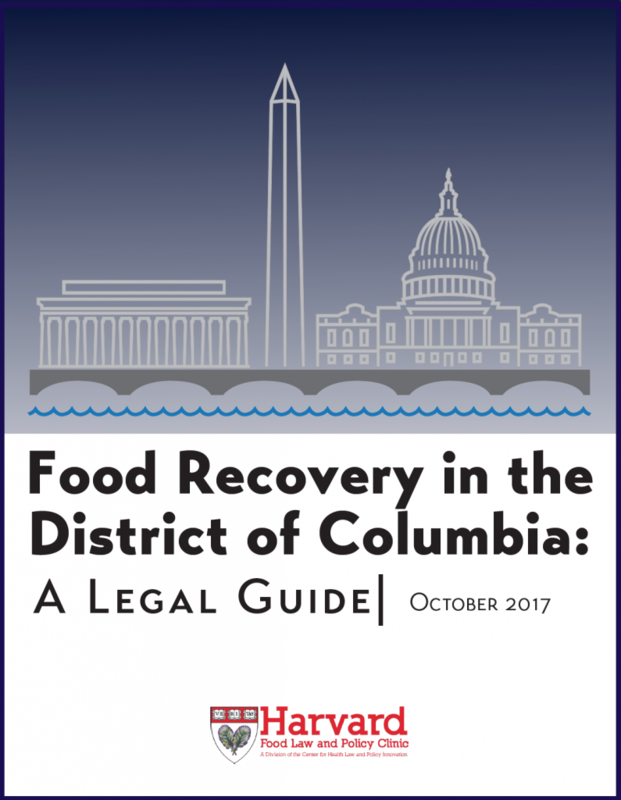 Today, the Harvard Law School Food Law and Policy Clinic (FLPC) releases Food Recovery in the District of Columbia: A Legal Guide. This guide addresses common legal questions that businesses, schools, and nonprofits often have about food donation in the District. It was commissioned by the DC Food Recovery Working Group, a group created to support food recovery efforts in Washington D.C. and the surrounding area. By helping businesses, schools, and food recovery organizations to better understand and navigate these laws, this guide aims to encourage the growth of food donation and food recovery in Washington D.C.
Read Food Recovery in the District of Columbia: A Legal Guide.